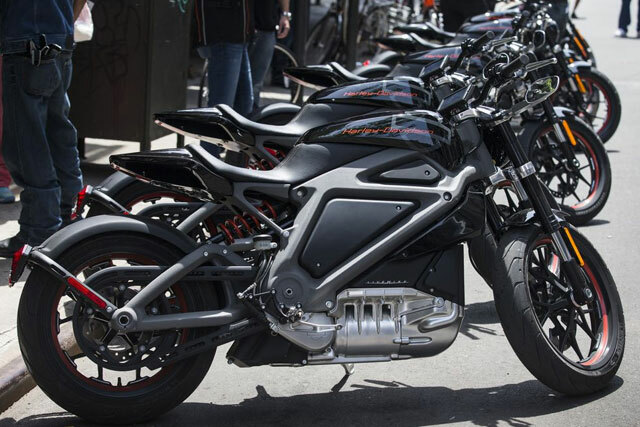 Amid slumping sales, Harley-Davidson will attempt to attract younger riders by offering its first production electric motorcycle. The new bike, which has yet to be named, is expected to be available within 18 months. The Milwaukee motorcycle maker first dipped its toes in the EV world by touring the country a few years back with a concept electric motorcycle, the LiveWire, for riders and members of the media to take on test rides. Now they seem poised to go all-in on an EV. Harley-Davidson will continue to hang their hat on the Softail and Touring motorcycles that its aging customers adore. But the company’s foray into electric bikes is aimed squarely at a younger crowd that values Teslas over hot rods. Performance should not be an issue, as the LiveWire could ton-up at 100 mph and do 0-60 in less than four seconds. The prototype’s main drawback was a limited range of roughly 55 miles. However, battery and motor technology have improved dramatically since the LiveWire was introduced, and with other electric motorcycles topping 200 miles in range, Harley’s new bike should be able to carry you a good bit farther than the LiveWire. If you can’t wait a year and a half for an electric Harley, check out Zero motorcycles, which has been producing electric motorcycles since 2010.